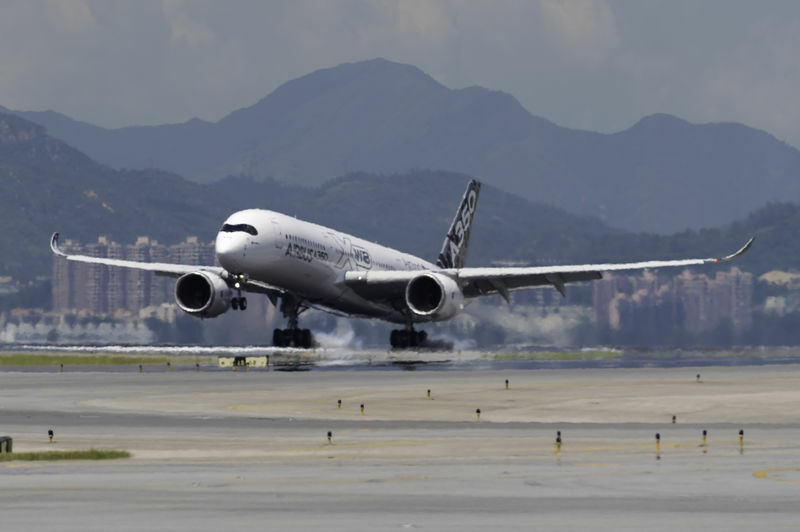 The world’s newest, most modern and efficient aircraft, the Airbus A350 XWB, landed for the very first time at Hong International Airport (HKAI) earlier today. 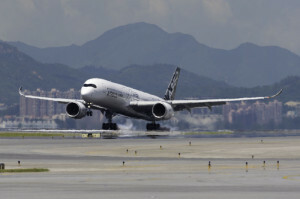 The aircraft, MSN 005, is one of five A350 prototypes used to perform comprehensive flight test and development trials. The aircraft has to fly a representative airline schedule, demonstrating its maturity for airline operations. This route proving exercise is the last of the trials required for Type Certification, which is expected in September this year. The aircraft will be operated by Airbus flight crews. For its visit to Asia, the A350 MSN 005 arrived directly in Hong-Kong from Toulouse, France and will carry out crucial hot and humid tests similar to normal airline operations in the region. The aircraft will perform a series of high frequency flights between Hong-Kong and Singapore over three days before departing back to Toulouse on Thursday 31st July. Airbus A350 will then depart to Johannesburg, South Africa, on Saturday, 2nd August. The A350’s World Tour began on July 24th and involves a series of tests on four different trips. It will visit 14 airports around the world and will end on August 13th.